But the camera does live up to its fame. 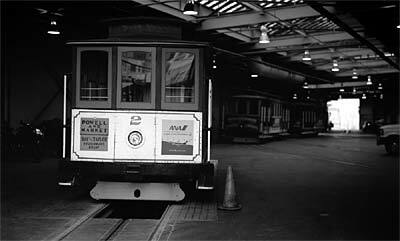 Here is one of the very first pictures I took with the Medalist at the Cable Car Museum here in San Francisco. I have no light meter, so I had to guess the apperture and shutter settings. Taken on Kodak 100TMX.